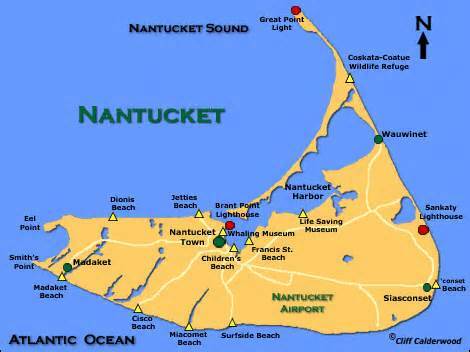 Nantucket Beach Life Radio & Island Directory is a division of Beach Life Entertainment and Promotions. Beach Life Entertainment offers something for everyone! Our websites cover everything you need to know for those who live, work, play and vacation on our beaches. Beach Life Radio is here to offer your beach community: Entertainment * News * Sports & Fun. What's happening on Nantucket? You can find out here! What to do, where to do it and when to do it. We offer advertising campaigns & live remotes at affordable prices. Our ads are effective and incorporate social media into each package. Beach Life Radio is an online station that offers businesses an option to expensive radio advertising. We use local talent to build our network and utilize social media, Facebook, Twitter and You Tube. We also do live remotes and promotions. We have contests and give away prizes. And most of all we have fun! We invite you to join us and help us help you; help each other. The industry has begun to realize that any loss of base listenership has simply transitioned to other day-times and means of listening. Radio is growing, both terrestrially and internet-wise. And the growth of online ad revenue proves that more listeners are spending more time online, using a variety of means; desktop, home devices, car radio heads, and of course, the fastest-growing area….mobile devices. Of course, it also means that they are clicking through and responding to online ads. If you are not taking the online advertising aspect of streaming serious, it’s time to take a harder look. Recent studies and reports show that by 2015, 70% of all mobile ads will be geo-targeted, giving radio stations even more of an edge when it comes to advertising. The use of geo-targeting is the latest way to serve ads only in designated areas. By geo-targeting within our Ad Delivery Network, we deliver ads to only those relative listeners, so advertisers’ dollars are not wasted on impression ads, which is the old-school way of doing things. Online and mobile geo-targeting produces better dollar-traction, and also gives a station more credibility. This is a great opportunity for college radio DJ's, news anchors, reporters and staff to gain real life experience and earn money too. Unlike college radio, we encourage you to find sponsors and sell advertising. Hit the streets, get out and do live remotes and promotions. We will work with you every step of the way to help you gain valuable experience and succeed in your field as you follow your dreams. Beach Life Radio is a supporter of local musicians. We are happy to play your music and have a page where you can advertise for only $10 a month to sell your Cd's and link to your website!